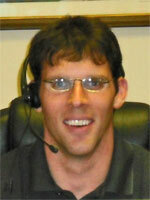 Chris Swanstrom is the licensed Branch Manager and a commodity broker of Midwest Market Solutions. He enjoys making farm operations more profitable for traders by analyzing and researching market direction. Chris uses a variety of tools such as options, futures, and spreads to achieve maximum profit potential. He also performs speculative trading in a host of commodities. Chris joined our team in 2005.